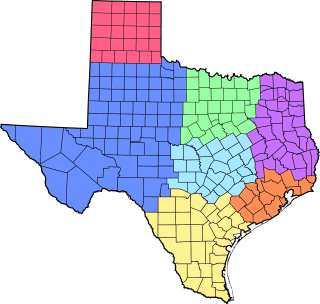 Texas is divided into seven geographic regions with widely different landscapes. You’ve got beaches. You’ve got rolling hills and canyons. You’ve got seven different places in one. Explore the different regions and the diverse cities within them to find the adventure that suits you best. Texas is big, really big. It can take hours and hours of driving to get from one end of Texas to the other. Texas is usually divided into 7 regions. The names of the regions can vary slightly, for instance, the Piney Woods might be called East Texas. Or Big Bend Country might be called West Texas. Gulf Coast region includes Corpus Christi, South Padre Island, Beaumont, Brazosport Area (Clute, Lake Jackson and Surfside Beach), Brownsville, Galveston, Harlingen, Houston, Kemah, Port Aransas and more. East Texas region includes Big Thicket National Preserve, Conroe, Gilmer, Huntsville, Jefferson, Kilgore, Longview, Marshall, Nacogdoches, Rusk, Tyler and more. North Texas region includes Arlington, Canton, Dallas, Fort Worth, Glen Rose, Granbury, Grapevine, Waco and more. Central Texas (Hill Country) region includes Texas Highland Lakes, Austin, Boerne, Fredericksburg, Luckenbach, New Braunfels, San Marcos, Stonewall, Wimberley and more. West Texas region includes Abilene, Alpine, Balmorhea, Big Bend National Park, Del Rio , El Paso, Fort Davis, Fort Stockton, Langtry, Lubbock, Marfa, Midland, Monahans, Odessa, Pecos, Pine Springs and Guadalupe Mountains National Park, Terlingua, Wink and more. Panhandle region includes Amarillo, Borger, Pampa, and more.